Properties in Piha average 4.6 out of 5 stars. Piha presents this private picturesque getaway. Property 1: Piha presents this private picturesque getaway. Pihadom ocean front beach house, surfers paradise. Property 9: Pihadom ocean front beach house, surfers paradise. Stunning Piha Views, large decks, Modern and sun drenched house. 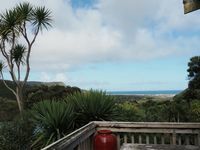 Property 19: Stunning Piha Views, large decks, Modern and sun drenched house. A Beach House at Piha - beachfront romantic hideaway, on prime South Piha Beach. Property 22: A Beach House at Piha - beachfront romantic hideaway, on prime South Piha Beach. 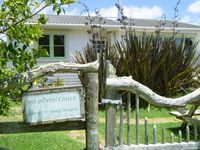 Piha beach break Character NZ bach A home at the beach, comfortable and quirky. Property 27: Piha beach break Character NZ bach A home at the beach, comfortable and quirky. Great for Family,Special Event or Private Getaway. Property 47: Great for Family,Special Event or Private Getaway. We really loved our stay here. The beach is beautiful. We enjoyed long walks every morning. The Bach has everything we needed. The reading nook was particularly lovely. The kitchen was well set up and had everything we wanted. Loved it! Thank you! What a super little cottage - would recommend for a smaller group (around 4 people rather than 8) but everything was absolutely delightful: A1!